Does Having a Steel Roof Make My House More Vulnerable to Lightning? If you're planning on purchasing a home with a metal roof or if you're planning on replacing your existing roof with a metal one, you've probably come across some naysayers. One of the most heavily circulated misconceptions about metal roofs is the idea that steel roofing makes your home more susceptible to lightning strikes. As we work through this topic, you'll find that not only is this conviction wrong, but also that the truth is actually quite the opposite. Will having a steel roof make it more likely for my home to be struck by lightning? Metal roofing in no way increases your home’s chances of being struck by lightning. In fact, because steel, and other metal products used in roofing, is both an electrical conductor and noncombustible, it's one of the safest construction materials on the market. 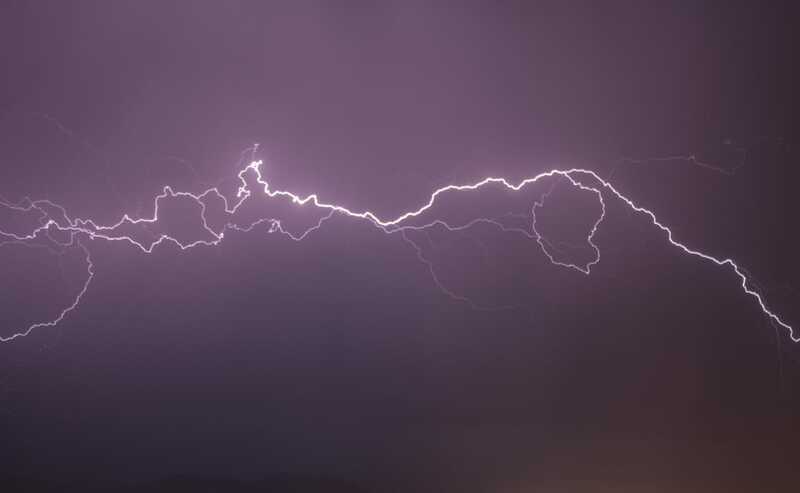 When lightning strikes, metal offers a quick exit strategy that will minimize lightning’s effect on your home. In summation, the material of your roof has no bearing on your chances of being struck by lightning, but in the event that your home is zapped, a metal roof really works in your favor. What is the reasoning behind this common misconception? Metal is an excellent conductor for electricity. Because this is commonly known, many people wrongly assume that a metal roof makes your home more vulnerable to lightning. The actual effect of a metal roof, however, is protective. When lightning strikes, it moves along the least resistant path towards the ground. Because a metal roof isn’t grounded like a lightning rod or even a tree, there’s no reason for it to attract the lightning. If, by chance, your home is struck by lightning, the metal roof acts as a conductor that quickly directs the lightning away from your home. When it comes to roofing materials, steel is the top of the line. Metal roofs far outlast the typical 20–30-year life expectancy of an asphalt shingle roof. Steel roofs reflect the sun to lower cooling costs during the summer, and they provide added insulation to help keep the home warm during winter. They also sustain wind far better than other roofing materials. Metal roofs are fireproof, which is an added safety feature in areas of the country where wildfire is a risk. Steel requires less maintenance and upkeep than other roofing materials. The cost of owning calculated over the lifetime of the roof makes steel roofs a wise investment that can pay for itself over time. And, contrary to popular belief, it won’t make your home a target during Midwest thunderstorms. If you need a new roof, contact Hedrick Construction. For more than a decade, we’ve provided the greater Des Moines area with comprehensive roofing and exterior services. Whether your roof needs repaired or you’re shopping for a new roof, our professional contractors are ready to help you make the right decision for your home. Contact us today!